I had beautiful moments during my Budapest holiday. This is the most amazing city in Europe, wonderful buildings and friendly people. Before I left the city we spent great a night on Dinner Cruise with Traditional Hungarian Show. It was absolutely entertainment. Dance and sing together,both was wonderful. We learn few steps from the dancers,however I was not good enough, but I enjoyed it with my wife. Thank you for the fun! We just had the most amazing night on board the silverline Taltos with a lovely dinner served by Judith. The show was excellent. I loved the music too. I highly recommend this night out. It was a truely beautiful way to end our stay in Budapest . We had a great time. The staff is super friendly and we got a table right up front. They speak Hungarian and English. We were greeted with a glass of champaign followed by a lovely 4-course dinner. I was pleased to have a fish dish and vegetable lasagne as a pescatarian. The entertainment was fun and a tourist’s peek at traditional Hungarian folklore dance. I will love to take the cruise again when we have visitors. Entertainment was enjoyable, the violinist was superb! The singing and dancing made it a memorable evening. Spent Saturday night on the folklore and dinner cruise with a mate and we had such a good time, food was amazing and we opted for drinks included which was a good idea! The dancers and bragitta the host were amazing and made a very fun and enjoyable eve! Thank you so much! Didn’t expect to be that good before arriving at the port. Great night spend on danube River with excellent food ( 4 set menu dishes), great music (Violin) and Folk show.. Highly recommended!!! 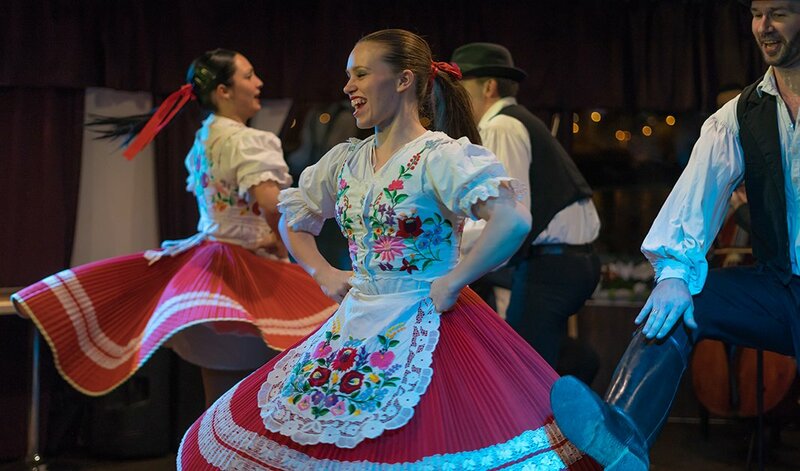 On this Budapest dinner cruise in addition to our enthusiastic band of musicians, folklore dancers dressed in traditional Hungarian costumes guarantee your absolute comfort and diversion. 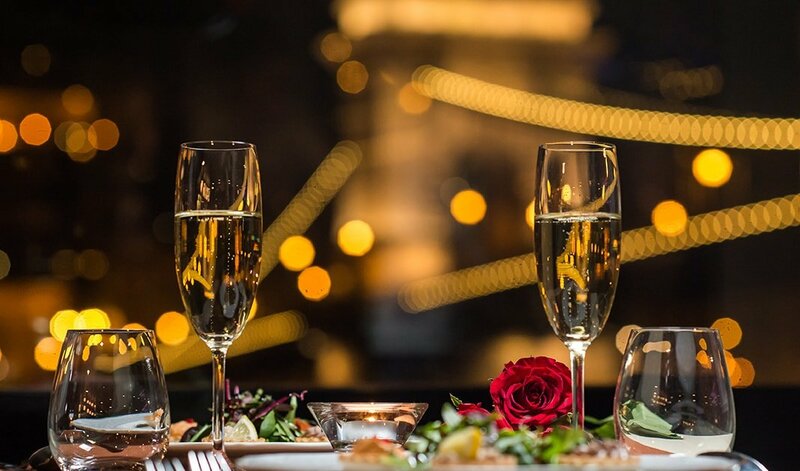 Wine and dine with utter elegance and do not be surprised that as the evening nears its end, you will start to feel like a local more and more. Our mission is not only to give you a simple sightseeing programme but also we would like to give you a life experience that you can share with your friends after 20 years. Do not miss out on this exclusive river cruise, get on board and savor the moment. Are you keen for a once-in-a-lifetime dinner in Budapest? 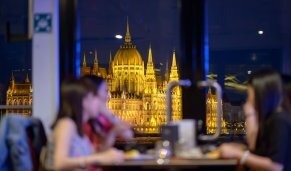 A dinner, which is so unique you will tell your children, that the top of the amazing Budapest visit was when you had the chance to visit the city from the river and had an absolutely amazing view where you could feel as you would be a part of the mysterious history of this capital? Join our unique dinner, where you will get all these feelings, in addition with a delicious, 4-course dinner and great live music with the traditional dance show. Our Folklore show is waiting for you with an unforgettable experience, with a singer, and a violin, with a contrabass, and a cimbalom and with many dancers who will bring you an unadulterated and authentic Hungarian folklore atmosphere. By the way, have you ever heard the sound of a cimbalom? Have you ever listened to music with the sound of a cimbalom? Actually, do you know what is a cimbalom? This stringed instrument is commonly used in the folk music of Central-Eastern Europe. Its trapezoidal wooden body stands on four legs and has metal strings stretched across its table like top. And how is it played? Usually, the player is sitting in front of the cimbalom and he uses two beaters – more like a „spoon-shaed” wooden hammer covered with leather- against this metal string. If you are a music lover you have to get to know the modern cimbalom that has been invented in Budapest around 1870 and was introduced as an orchestral instrument by Franz Liszt in „Ungarischer Sturmmarsch”. Our operetta and folklore performance-infused Budapest dinner cruise is the most popular sightseeing opportunity in Budapest. Not surprisingly, because our activity offers way more than other sightseeing or dinner services. Our Budapest Dinner Cruise offers 3 hours of pure entertainment. If you enjoy delicious meals and special, authentic and stirring activities, our folklore and operetta dinner cruise is just perfect for you. We offer quality pastime: with a single cruise, you can enjoy everything Budapest may offer: breath-taking panorama, a slice of Hungarian culture and traditional Hungarian meals and beverages. Here is a short summary again from the 4-course menu we offer on board. This one includes a wide range of different style of dishes to fulfill all the requests even they are vegetarian, or they prefer traditional Hungarian food. During this 3-hour river dinner cruise, our guests are having the opportunity to adore the attractions of the illuminated Budapest which is shining every evening in golden lights. Upon arrival, our guests are greeted by our hostesses and served with a selected welcome drink, such as sparkling wine or other soft drinks as a non-alcoholic beverage. While enjoying the welcome drink and getting comfortable you can choose from the tasty, 4-course menu we offer during the cruise. This menu includes a starter as the first course, then a hot soup, that is followed by the main dish, this menu has been created thoughtfully to be able to fulfill any type of needs and wishes. Namely, you will find the perfect dish for you even you want to try the Hungarian cuisine or prefer international, classic tastes or meatless, vegetarian meal. Of course, do not be afraid if you have any type of food intolerance since our menu includes lactose and gluten-free dishes as well. As a starter, you have the option to chose a light – almost calorie free- salad if you prefer to eat something light as the first dish, but if you are an adventurer, you will prefer the tasty, small pastry baskets (Burcheé) with the interesting fillings. The same with the soup, you can continue with a vegetarian potato cream soup that includes carrot chips and has a smooth taste or you try the Hungarian goulash soup with a little traditional taste. Then comes the main course, which has six different types to choose from and includes more exciting than exciting flavors. Choose wisely, since you have to like your main course but deffinitely want to try your neighbor’s interesting dish as well. Vegetarian people has the opportunity to pick one of the salads, in turns, meat lovers can try the traditional duck a la Hungary, or the „pörkölt” not even to mention the delicious fish. Prepare yourself, it will be hard to choose. And finally, the best part of the dinner – at least if you are a sweet-tooth type- the Flan cake with the fruit sauce will dulcify the rest of the evening for sure. 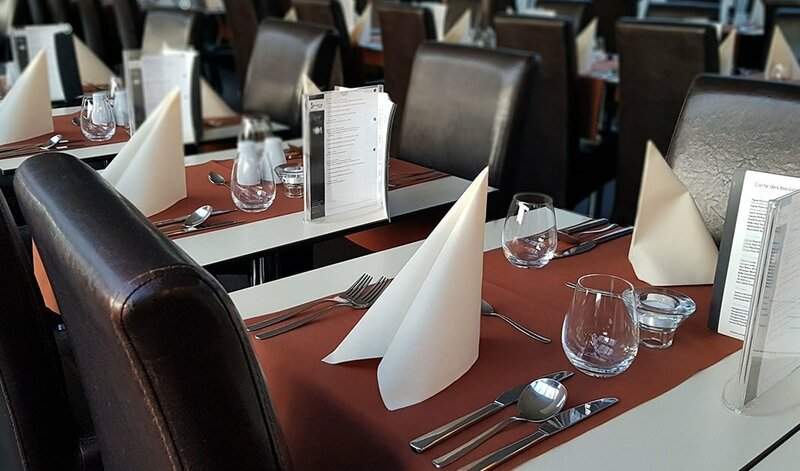 Our dinner cruise has a classic bar with all the drinks to make our guest feel comfortable, in case you select a drink from the drink menu, you pay only for the drink you consume and it can be wine, beer, shots and cocktails as well, everything you find on our drink menu. In case you are a beer type or you prefer to drink the same wine with coke on the side for example than our drink package is a perfect choice for you. This offer includes unlimited consumption from the following beverages. 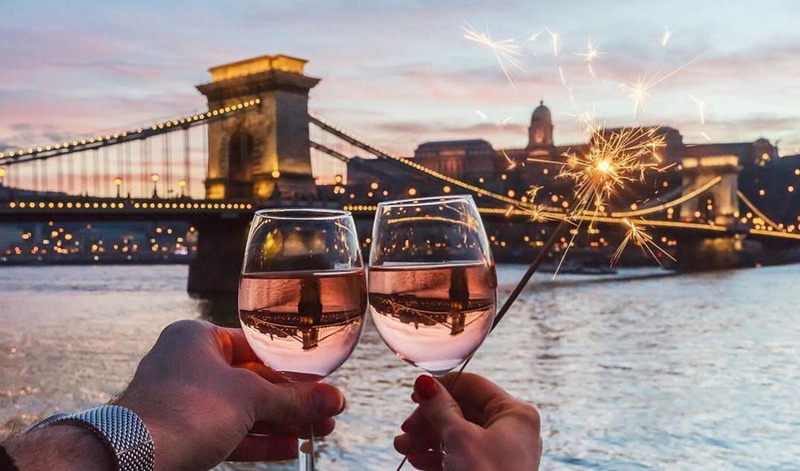 · our drink package includes different type of selected wine from the Hungarian wine regions even if you prefer white-, rose- or red wine you will find the proper tasted wine for yourself. · or do you prefer the sparkling type of wine? no problem, we can fulfill your wishes even if you prefer sweet or even you prefer dry sparkling wine. · Absolutely no problem if you belong to the group of the beer-type people since our team will serve you an unlimited beer during the whole dinner. · but do not worry if you prefer hot tea the whole evening or want to have your cafe right after dinner. Happy, characteristic, dynamic, energetic, colorful, loud, spectacular……….well, basically it cannot be defined in one word, sorry. Because this music of the Hungarian culture is very rich in themes and tunes as well because there is always a reason for Hungarian people to sing about. Even if it is rainy or the day is sunny, they sing. There is a phrase they say about themselves „sírva vigad a magyar”, which is hard to translate, because it sounds like “Hungarians make merry by crying” as a literal translation, but what it wants to say: even they are happy and are together with the family on a wedding for example, they sing sad songs…and they are really happy with singing sad songs. There is a common opinion worldwide (but at least Europe-wide) that Hungarians are one of the most pessimistic nation in the world (at least in Europe). Why is this phenomenon currently so conspicuous? People say Hungarians are never satisfied with their current lifestyle, their current situation, so they always – seriously- always find something to complain about. Folk dance is that kind of heritage of Hungarian people, that moves the guts of every single person, who listen to the music or are watching dancers. Hungarian youth bring it back to life again and you find folk dance evenings and festivals more and more often around the country. If we want to investigate the rules and the uniforms we have to say at first glance there are no big differences between the dance style or the dresses in different regions but still can be divided into two layers based on the historical sources. Older style goes back till the Middle Ages and the new style started to take place at the and of the 18th century. On our folklore and operette dance show you will see dances from the old times and even the new wave will appear, just like the traditional dance where the women are carrying the wine bottle or the mans are dancing with sticks. 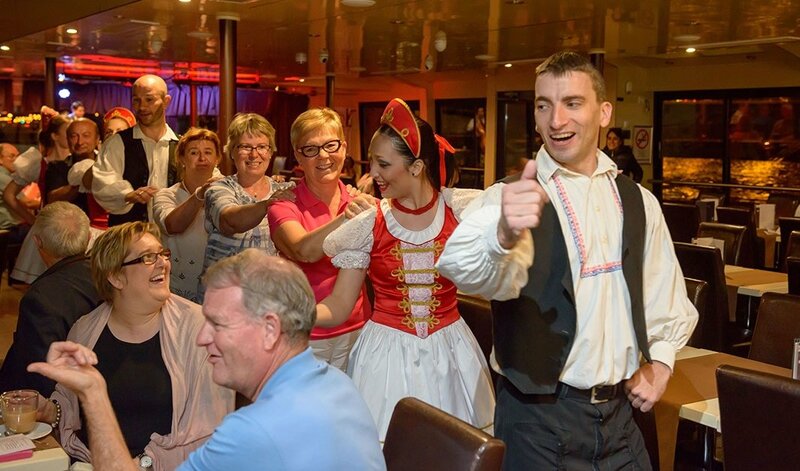 On our folklore cruise, you can not only discover the traditional Hungarian dance, but our helpful and talented dancers give you the opportunity to learn the basics of it too, thus you will go home not only with fantastic memories but with a piece of Hungarian culture too. Lose yourself in the world of delicious meals, breath-taking panorama, fantastic spirit and traditional, colourful costumes! Our Budapest River Cruise offers carefree cultural entertainment for the whole family. Immerse yourself in the world of Hungarian folklore and operetta, while enjoying the view of the floodlit capital! 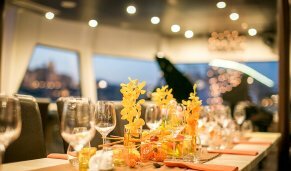 During the 3-hour long cruise, we serve a four-course dinner to our dear guests, while they enjoy the view from the Danube of the most beautiful places Budapest can offer. The great atmosphere of the evening is ensured by our talented performers. While assembling the performances and the menu of the cruise, we paid special attention to introducing the essence of Hungarian culture and cuisine. Our luxurious cruise ships were built specifically for the purpose of such complex events, so the comfort is guaranteed during all seasons. Thanks to the floodlit stage and the commodious restaurant, all conditions are met for quality entertainment. The Budapest Dinner Cruise with operetta and folklore performance is available every day of the week!